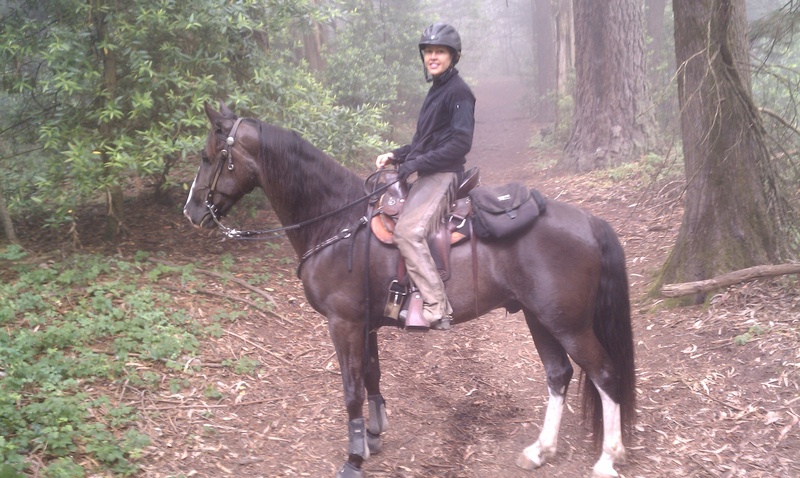 Gaye DeRusso, a professional horse trainer, in Alamo, California, who regularly works with gaited trail horses explains. I buy horses all the time, as part of my business is selling horses. I started doing this because I was sent so many bad horses to fix, and I just could not understand how the owners had picked the horse. Could I fix them? Sure, and I did, but even when they were fixed, it was not a horse I would have ever picked for them as a trail horse. If you are buying a horse for trail, and this is your first trail horse, well you better make sure it is a well-trained one. For some reason people have it in their mind that if a horse can not make it for their sport such as jumping, that it can make it as a trail horse. Wrong, wrong, wrong. 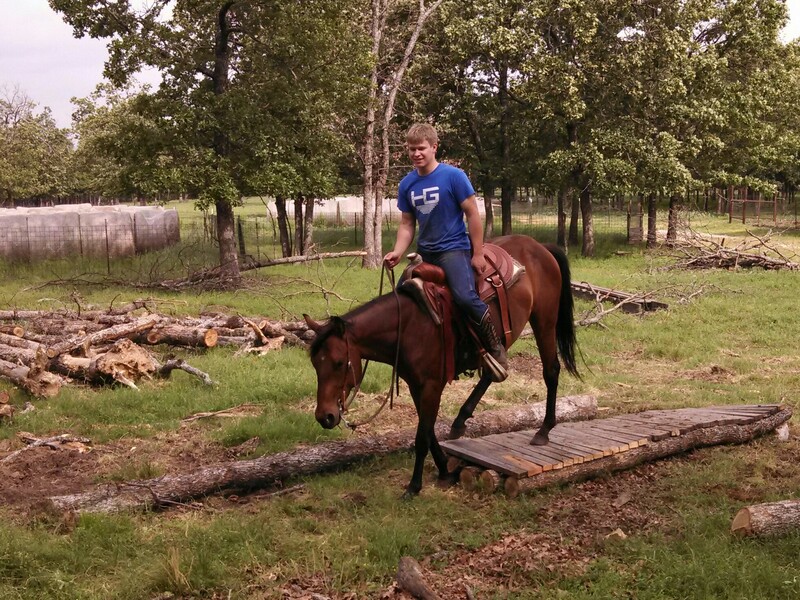 Trail riding is one of the most demanding jobs for a horse. The horse has to deal with things jumping out at him, it has to be surefooted, calm, dependable, willing and comfortable. So first of all do not look at any horses that have not been on the trail and it should be recent, not 10 years ago. Only go see horses that have experience and as they say a lot of wet saddle pads. You are looking for a horse to take care of you, not kill you, the killers are easy to find, just go to the auction and you will find at least a couple of horses that will try to kill you. They are usually the pretty ones. Also beware of a seller that has a lot of perfect horses to sell, unless they have had them a long time in training. I have to go through at least 5-10 horses before I find one that will work for a beginner. So do not be fooled by fancy words and fancy pictures. 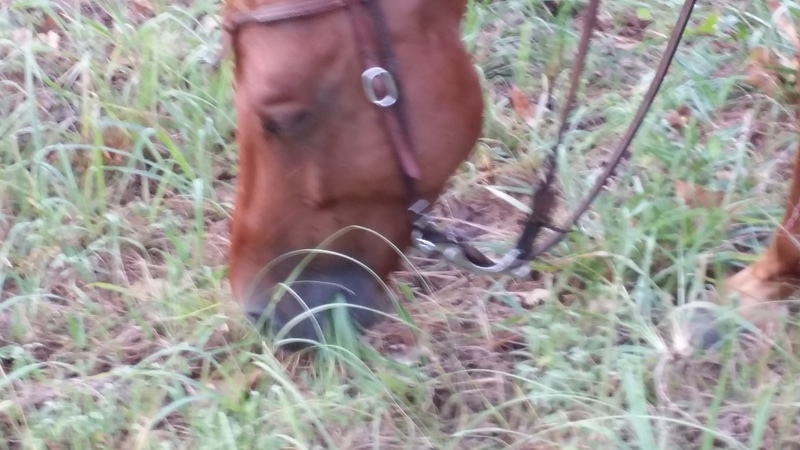 A trail horse needs a calm mind, close to dead would be a good start for a beginner. Half dead would be good for a novice. This means he doesn’t react to much, how do you test that, well try to spook him with whatever you can find, bring your crazy boyfriend, your annoying kids and the nutty dog and see what the horse does. If he tolerates it, keep evaluating him. If he freaks out, well just leave. No reason to waste your time or the sellers. Ride him in the arena first. Makes sure he stands for getting on, if you are short use a mounting block, do all the things you will need to do at home. See if he steers well, stops easily, backs and can go sideways, you will need all these things on the trail. If you do not know how to do these things yourself, well then you shouldn’t even be buying a horse yet, you should spend your money on lessons first. Don’t skip the basics, if you do, you could easily get maimed or killed. He should walk slow, a fast walking horse is not for a newbie, he should go the speed you ask, slow when you want, faster when you want, and if he is a little dull to the leg well then that’s just great, because if you kick him by accident he won’t take off and yes at some point you will kick him by accident. If he is safe in the arena, go around the barn and if you see anything scary go towards it and see what the horse does. If the owner tells you not too, then get off because he will need to tolerate a lot more on the trail. I am not telling you to ride up to a fire truck or a kid doing 360 in the parking lot with their parents car, just something scary, like the tractor, a big water bin, a dog, you get the picture? If he doesn’t spook, great, if he spooks a little but stays in place, good, if he spins, runs back wards or takes off. Well get off and leave quickly. If he is quiet, go on the trail, have the owner take you out with another horse, ride in back to start, then front and if another rider comes, stick him in the middle. He should be fine with all of these. Then tell the owner you wish to separate and see if he will leave the other horse and then see what he does as you go back to the other horse. Is this something you can handle? If anything you want to buy a horse that is below your level of riding, not above it. You can always make a calm horse hotter with training, spurs and grain but you cannot always make a hot horse calmer, especially if you are not a good rider. I have seen a lot of riders fall off hot horses, I have never seen one fall off of Mr. Pokey. Next you need to find some obstacles and things that move, deer, dogs, hikers, bikes, anything you might see on your trails. If you need to ride down the road at home, then go down a road. This is your time to really test him for what you will be doing. If you are going to ride alone then you need to also take him out alone. Believe me if he is bad at his own barn he will be worse at yours. So really do a good test. If you can’t, then ask the owner for a week trial and you better ride it a lot when you have the trial. It would be worth a deposit and the owner keeping it, than buying the wrong horse. The wrong horse will cost you thousands in the end, so look at the big picture. Now head back to the barn, does he go slow or quick on your way back? Slow is good, fast is bad. Lastly, did you feel safe? What? You are not sure? Well then you didn’t feel safe if you have to think about it. If you felt safe you will have a big smile, you will be having fun, you won’t be wondering if this is the right horse, you will know it. Now when you get back, don’t start picking him apart, get a vet to do that, you don’t need a pro athlete, you just need somewhat sound to get you around the trails safely. You need a horse that will hold up for a couple of years, than you can advance onto a harder horse if you want and another beginner can enjoy your horse. Also do not be cheap, it is best to pay for a trained horse, than buy cheap and send to a trainer. Remember, I am a trainer and people spend thousands of dollars in training, trying to make the bad horse they bought into a mediocre trail horse. The first thing I always say is, can you take this horse back? As it would be cheaper for me to just find you a better horse. I am a very busy trainer, as most people will not take that bad horse back, it is your problem now. Ok so everything was great, but he is not the prettiest horse, and not the color you wanted. So now what? Well you buy him of course, pretty and your favorite color can kill you, but if he has all the above qualities then you are crazy to pass on him, good horses are hard to find. An ugly horse can give you years of pleasure, just buy some fancy tack and he would look better and all your friends will be jealous since your horse will be the most dependable one. Okay, now if you still don’t get it, here is a story to paint you the picture of buying the wrong horse. Sally buys a horse that fails as a racehorse. She gets him cheap, underweight and in not so great shape. Sally thinks she can make him a jumper. So Sally buys him and sends him to her trainer. The trainer spends over a year trying to make her now fatten thoroughbred into a jumper. The trainer comes to the conclusion that the horse neither has the mind or the talent to be a jumper. Sally cuts her losses and sells him as a trail horse. Sally’s horse has never been on the trail, he also has never been ridden by a novice rider, but he has been to some shows and he has walked around the barn. Sally is not a trail rider, she has no idea what riding trails are like, but for some reason she thinks it is an easy job. So Sally sells him to Suzie who is a novice rider as a trail horse. Both Sally and her trainer claim how quiet and easy this horse is to ride, but they both have had years and years of riding difficult horses. They do not even remember what it is like to be a beginner. Suzie takes her beautiful new horse home and shows him to all her friends. Wow, he is beautiful they all say and then one says, he seems a little hot. Suzie ignores her. He then spooks at the stall cleaner that comes around the corner. Suzie doesn’t pay any attention, as Suzie is just mesmerized with the beauty of her new horse. Suzie lets him settle in for the day and the next day, she is set to ride her new horse on the trail with her friends. Suzie neither roundpens or lunges her horse, something the previous trainer always did, but they never told Suzie this, so how would she know? So Suzie gets on and off they go down the trail. Everything seems just great, the sun is shining, Suzie has a big smile and her friend is chatting away. Suzie is riding with her brand new snaffle on a very loose rein and is oblivious to the world around them. Then all of a sudden a deer jumps out of the woods and gets scared by the horses and the deer takes off, up a hill through the woods. The deer trying to escape for its life makes a lot of noise as it runs through the bushes and leaves. 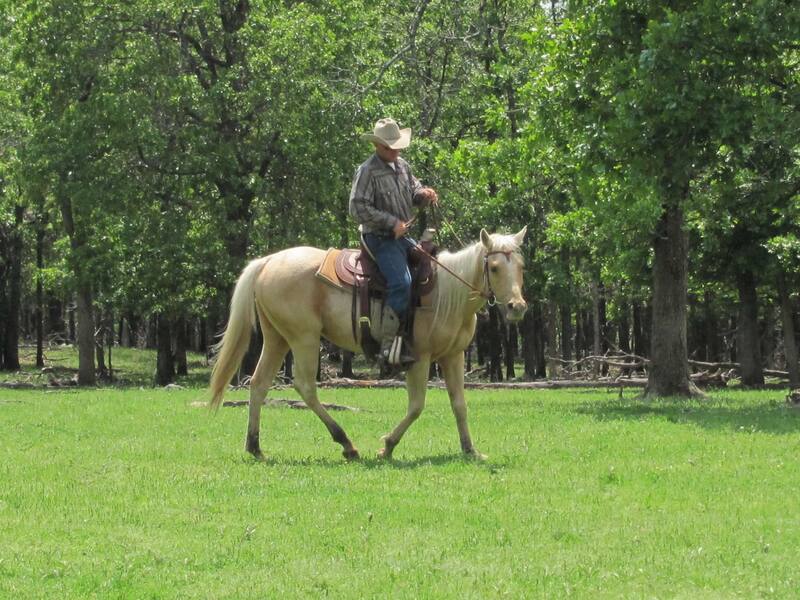 Suzie’s horse has never even seen a deer, so he does exactly what he was trained to do. He runs. He runs faster than he ever did in a race, boy would his first owner be proud, because then he was only running from a bell, but now he is running from the monster in the trees. Boy can he run fast! Suzie hangs on and ducks under the tree but then she sees there is a log in the way. Suzie’s horse does exactly what he is supposed to do, he jumps it with all his might, now wouldn’t his second owner be so proud of him! But now his third owner Suzie gets launched through the air. Suzie always wanted a Pegasus, be careful what you wish for I always say. Suzie isn’t proud of her horse, but she is lucky to be alive, she is now laying 10 feet from the log, and her horse is long gone. She has gone faster than she ever knew a horse could go and she also got to jump her first jump and all in one day. Her friend finds her and says that was amazing you held on so well. Suzie picks her self up and it takes them about a half hour to find her new horse. She gets on and rides him back home, he is jigging the entire way but she somehow hangs on, she has too. She cannot walk well because something is wrong with her ankle. When she gets back she gives him a big bucket of grain and hopes tomorrow he will be better. Suzie’s friend takes her to the ER and Suzie has broken her ankle. Poor Suzie, she did everything wrong and she doesn’t even know it. She bought a horse bred to run, and if you think about it, he was bred to run far too at least a mile before he was supposed to stop. That’s exactly what he did. She also bought a horse that someone thought had talent to jump and he did jump. He never was on trail in his life and when he thought he had a nice new life, she put him on a loose rein, so he had no instructions about his new job. 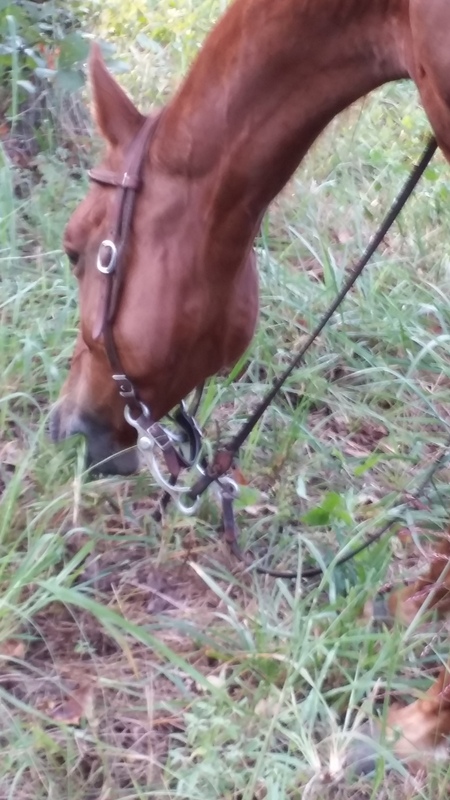 So her poor new horse was pretty much on his own, new place, in the middle of the woods and then a MONSTER jumped out! He did everything he was bred and trained to do. He tried very hard. Suzie is alive, she spent another couple of years trying to make the racehorse into a trail horse and after several more accidents she sold him, cheap. Said she didn’t have time to ride anymore, and that was true, how would she when she was spending most her time in the hospital. Suzie gave up on horses, she realized they were dangerous and just not her thing. She still has his picture, and boy was he pretty. What Should You Look For In A Trail Horse? According to Gaye DeRusso, a good trail horse needs a number of qualities and attributes, even more so than a well-trained arena horse. 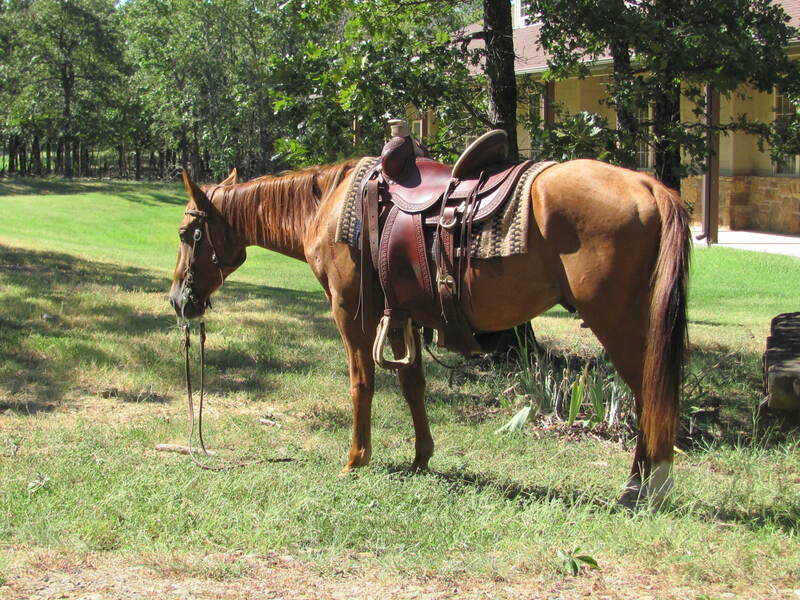 Ms. DeRusso has a good article if you are in the market for a trail horse that suits your needs. 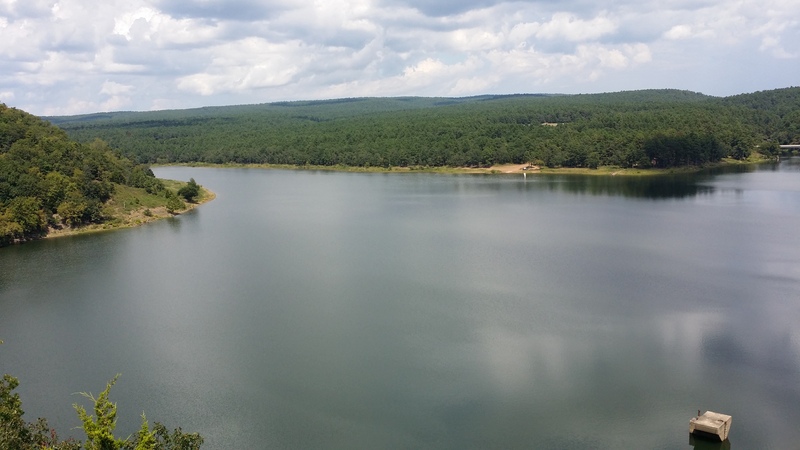 She explains the importance of real life experiences on the trail and describes some general thoughts on different breeds suited for the trail. You are currently browsing the archives for the Trail Horse category.